One of the most important, and perhaps most neglected, responsibilities for an individual is to ensure that his or her estate and “end of life” affairs are in order. There are several documents that are important in making sure that your loved ones will be protected in the future. 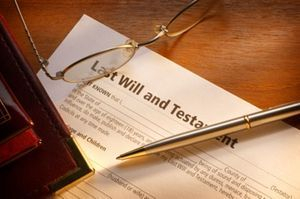 Having an effective Last Will & Testament will ensure that your property and wealth ends up in the right hands at your death. Furthermore, many people are unaware that your Last Will & Testament is used to designate the guardian for your children. Every adult needs a Will, regardless of his or her wealth, marital status, or whether he or she has children. Online legal services can be misleading as to the true cost of a Will, and do not provide the legal advice that you need to ensure that your property will end up where you want it. Don’t neglect this crucial aspect of your life. It is often a difficult subject for us to deal with, but you are sure to experience a sense of peace after having done so. The Living Will, or Advance Health Care Directive, is used to let your physician, family, or friends know about your health care preferences as to what treatment you wish to receive in certain situations. It is for use in situations where your condition prevents you from speaking for yourself. Many people remember the Terri Schiavo vegetative state case from 2005. It is those heartbreaking situations that the Living Will is designed to avoid. The Power of Attorney is a legal document whereby a person designates another person, often times a spouse, family member, or close friend, to be that person’s agent for any number of legal functions. A Power of Attorney can be a valuable instrument, however recent legislation has made radical changes to the law surrounding these useful documents. It is important to make sure that the form you are using complies with these new state laws. An experienced attorney can provide valuable insight into how your particular situation may best be handled to accomplish exactly what you want. Give Matthew J. Hornsby a call at (205) 856-1000 or email him at matthornsbylaw@gmail.com to make an appointment to discuss your estate and legal document needs.